Since the start of T20 cricket, Caribbean cricket and T20 have become synonymous. The Caribbeans are also the current world champions of the T20 cricket. 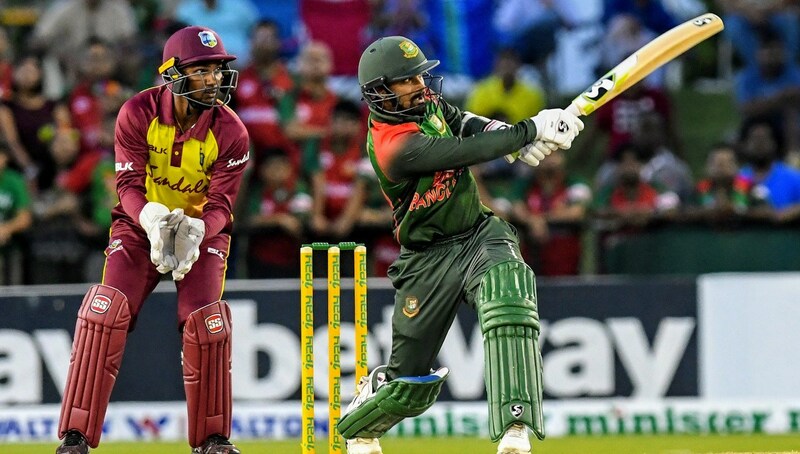 But Bangladesh Tigers have defeated this excellent T20 side in their home ground by 2-1 and also won the three-match series. There is an old proverb available “All’s well that ends well”. And Bangladesh’s this year’s West Indies tour has become the biggest example of this proverb. The Tigers’ started their tour with being all-out in just 43 runs in the Test match. Later on, the tour ended up with both the trophy of ODI and T20 for the Tigers. Literally, Tigers have shown a unique example of turning around. Bangladesh got back to parity in the series with an incredible win in the second T20 match. Except for the parity, Bangladesh had a chance to achieve something new from this last T20. Today, Shakib’s forces went to the field with the hope of winning their very first series against a big team in T20, And the start of the match was like a dream for Bangladesh. What does an exact flying start in 20 overs cricket means in particular? Bangladesh has the same sort of start in today’s game. Captain Shakib did not wait a bit to decide to bat on the flat wicket after winning the toss. And opener Liton Das struck a clean swipe on Samuel Badree’s the first ball of the match. This was an early indication of something destructive from Bangladesh. After the powerplay, when Soumya and Mushfiq got out in a short period of time, run rate reduced slightly. When Liton was dismissed as the fourth batsman in 11th over, an incredible innings of 61 runs off just 32 balls was shining next to his name. Captain Shakib Al Hasan and vice-captain Mahmudullah Riyad took responsibility after Liton’s departure. The pair added 44 runs in the next 5 overs. And after the departure of Shakib, Mahmudullah took the team to a respectable total of 184 runs. He remained unbeaten on 32 off 20 balls. In the meantime, the game stopped for a short period of time due to rain. After defending 171 runs on the previous day, the Bangladeshi bowlers were confident enough to defend today’s total. Bangladesh’s controlled bowling put pressure on Windies batsmen from the start of the innings. At the end of the 6 overs, the Caribbean team was only 32 runs from 3 wickets. Later on, Dinesh Ramdin and Rovman Powell added some resistance, but the required run rate of the Windies continued to grow steadily. Ramdin was out in the 12th over of the Windies innings when devastating all-rounder Andre Russell came in the crease. His team needed 108 runs off 51 balls. Allrounder Russell started to smash everything out of the park to make this impossible equation done. He hammered Shakib and Mustafiz out of the field in a regular basis. 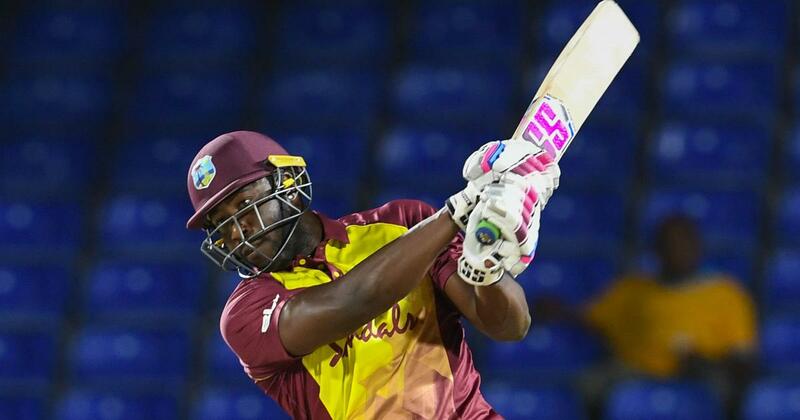 This Caribbean has managed to score 47 runs in just 20 balls with 6 maximums and 1 four. West Indies needed 50 runs in the last 3 overs. This unusual equation seems to be possible because of monstrous Andrea Russell’s existence at the crease. But this monster got caught at the long-off boundary by Ariful while he was trying to hit Mustafizur out of the park once again in the first ball of the 18th over. And as soon as Russell was dismissed, the possibility for the winning of the Caribbean was over. Florida’s sky was also speculated that as well. That’s why rain started to hammer the ground after that. The Caribbean was 19 runs behind the in Duckworth Lewis method. While the rain was gone, it was over 12 am in the local time. So, the umpires went for the Duckworth Lewis to determine the result of the match. Liton Das was chosen as the man of the match due to his dashing innings at the start of the match, and Captain Shakib was selected as the man of the series for his excellent performance with the bat and ball, and for his captaincy as well. However, Shakib shares the achievement of this win with the whole team. He regards this as a great team effort, and so it was. The Sportnewsbd team cordially congratulate the Bangladesh Tigers for their incredible turnaround and remarkable series win. interesting. Thanks for that informative article.